Baxter the dog joins Kevin and Dave as they discuss the Union’s 2017 outlook, the lack of news coming out of Chester, and Bob Bradley’s firing. Kevin and Dave discuss the MLS playoffs and the hiring of Bruce Arena to replace Jurgen Klinsmann as head coach of the USMNT. Kevin and Dave review the 2016 Union campaign and look ahead to issues facing the team in the offseason. Kevin and Dave discuss Philadelphia Union’s loss to Orlando City before previewing the regular season finale against New York Red Bulls and looking ahead to next week’s wild card playoff game. Kevin and Dave talk about the loss to NYRB and then Kevin makes a guarantee to assuage the concerns of Union fans. The guys also discuss the futures of Jim Curtin and Andre Blake. Kevin and Dave review the loss in Portland, Tribbett’s chance for redemption this weekend in Toronto, “24 under 24” vs “34 over 34,” and more. Kevin and Dave are joined by Matthew De George to discuss recent Union results against Kansas City and Chicago as well as Maurice Edu’s return to play, and more. 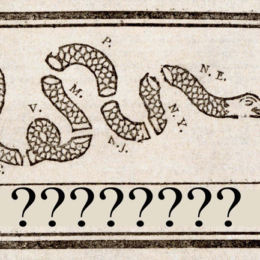 Kevin and Dave discuss the Union’s loss to Toronto, the positional battle between Ken Tribbett and Josh Yaro, and more. 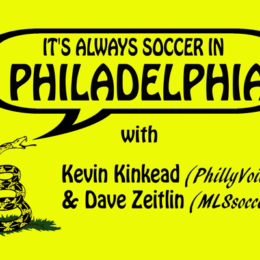 We’re pleased to present the premier of a new Philadelphia Union podcast co-hosted by Kevin Kinkead and Dave Zeitlin.